Start the search by selecting a category or search by keyword to start your search. 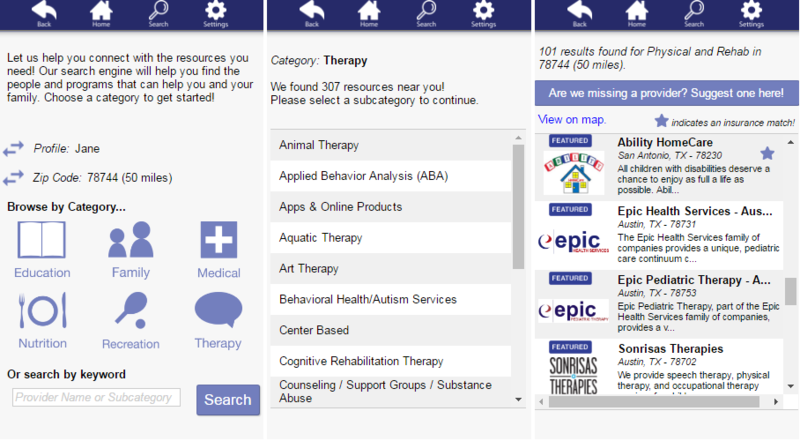 Search by category by touching or clicking on the category for resources you want to search. In the example below, I am searching for “Therapy” in the zip code 78744. A list of 307 resources near me pops up. In the example below, I select “Physical and Rehab.” I immediately have 101 resources to choose from, including many featured providers. Users are also able to view all the resources via map view to give you a better sense of drive time and commute from your work or home location to the resource address. Select the resource you want to explore more. If you have added your insurance information to your patient profile, recommendations will be starred that are an insurance match. 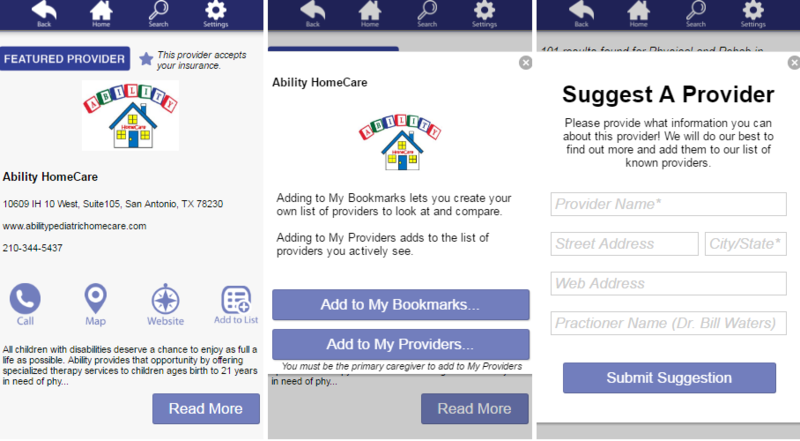 In this example, Ability HomeCare in San Antonio, TX matches with my insurance, and I decide I want to learn more about them. Select the provider you wish to learn more about and within our app you can connect with them by phone, on the web, via map or by adding them to a provider list or bookmark for later use or sharing with your patient, family or other caregivers. In this example, I select Ability HomeCare. I am able to call them, view them on the map, visit their website or add them to a list. We’re always looking to improve our listings and would love users, patients as well as providers, to suggest other provider. 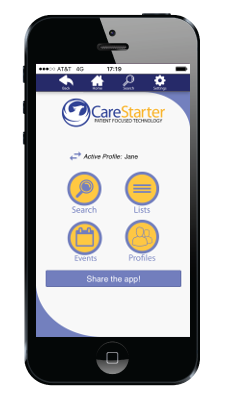 Simply submit a suggestion and, if available, add the name, address, website and practitioner name to the profile for us to consider adding to the Carestarter app.